The acclaimed author of The Cloud Atlas returns with a wondrous second novel. Set in a small beachfront Catholic high school, narrated by a beautifully complex heroine–theology teacher Emily Hamilton–All Saints is at once a mystery, a love story, and a powerful rumination on secrets, temptation, and faith. Though her popular, occasionally irreverent church history course is rich with stories of long-dead saints, Emily uneasily discovers that it’s her own tumultuous life that fascinates certain students most. She in turn finds herself drawn into their world, their secrets, and the fateful choices they make. 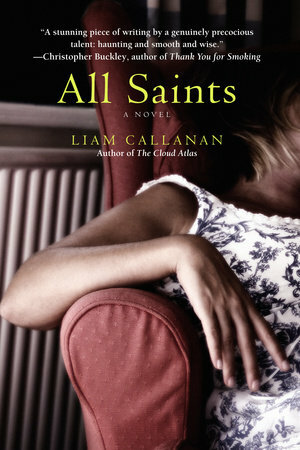 A novel of mystery and illumination, calling and choice, All Saints explores lives lived in a fragile sanctuary–from Emily and her many saints to a priest facing his own mortality and a teenager tormented by desire. Told with grace and compassion, this is a spellbinding novel of provocative storytelling.